The armchair Lago was designed by Philippe Starck for the Italian manufacturer Driade in 2005. The large body of the chair is carried by a frame with four filigree legs. The round seat ends in a straight backrest. The Lago armchair displays the unmistakable handwriting of its creator Philippe Starck. 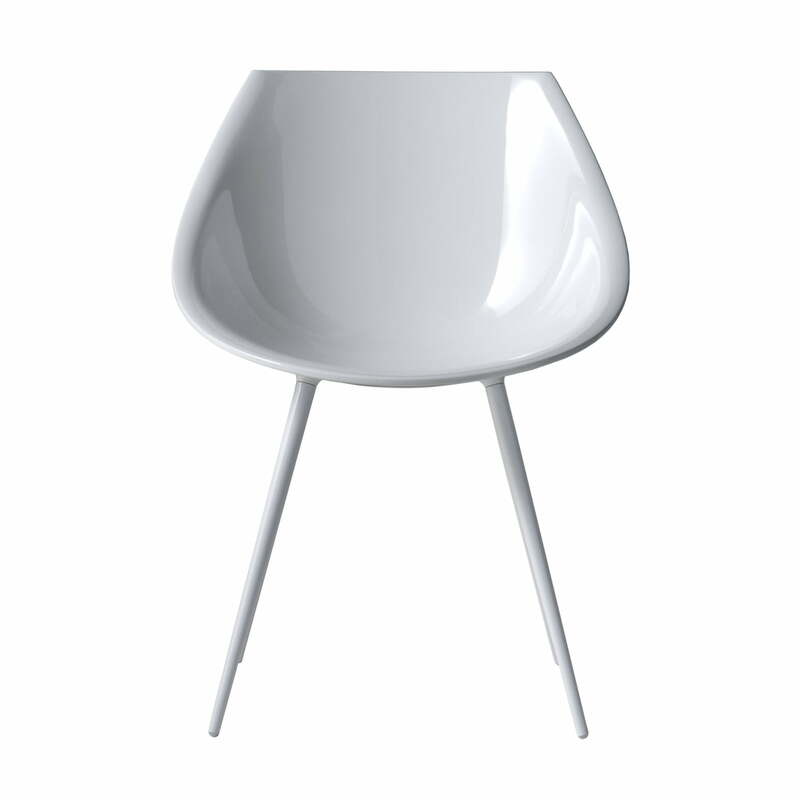 Like the Out / In chair for Driade and numerous other classic designs, Lago also combines a round and plump body with slim legs. The organic look is completed by the glossy surface and the bright colours. The seat of the Lago armchair consists of hard polyurethane. Four aluminium legs in the same colour as the armchair ensure a safe stand. The armchair is only suitable for indoor use. Driade offers the Lago lacquered in the colours red, black, white, golden and silver. Moreover the armchair is available leather-coated.